This Property is For Sale or lease with build to suit. 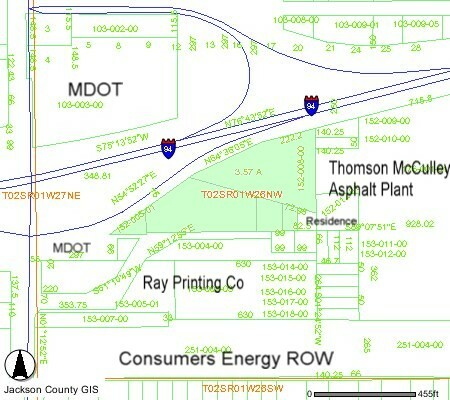 This 5 acre parcel is situated at Interstate 94 / Cooper St. (M 106), interchange. Excellent visibility, 1000' frontage on high traffic area of I-94. A great value with good visibility from Interstate. Township master plan calls for Industrial or Highway commercial zoning. 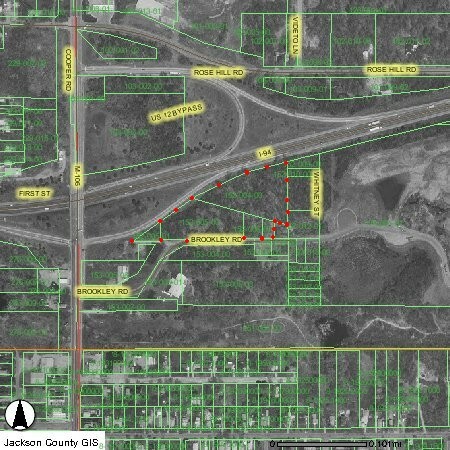 This land is adjacent to Industrial and Commercial zoned parcels. Municipal Sewer and water in street, taps available. 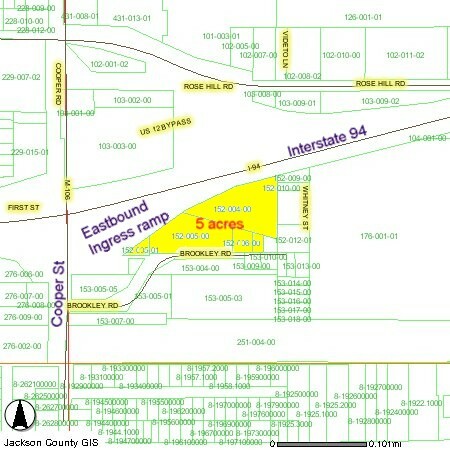 Proposed I-94 Highway modernization plan will utilize this interchange as the New "gateway" access to downtown from the interstate. This site is rolling, wooded,high and dry. Frontage along I-94 is high and visible from both east and westbound lanes, and located on the Eastbound on ramp.